The famous duck confit is born there! It is surely an inevitable culinary region of France! 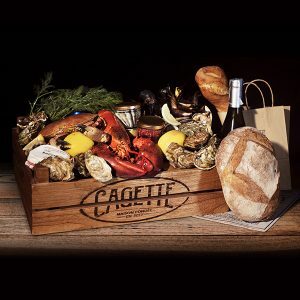 This Cagette Solution makes you discover its specialties! Experience Pork like you never did before with our homemade sauces and garnishs! Just a delight with our Cagette BBQ Pork Solution. 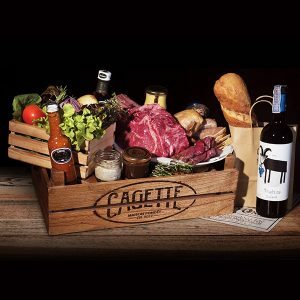 Our Lamb Cagette Solution offers a variety of different meat that are just asked to be grilled! Our tribute solution to Provence and its beautiful culture. The Region is known for its beauty and savoir faire. And you will find in our Cagette the best selection of them! 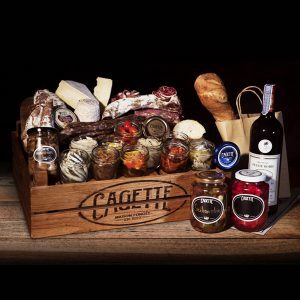 This Cagette Solution provides you the essentials for a successful aperitif! 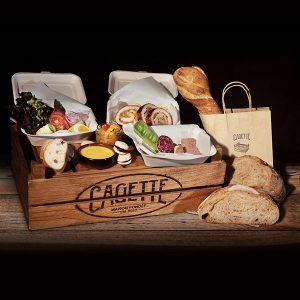 At the Park or on a Rooftop, with family and friends, you can bring our Cagette wherever you want you will have a full set for food lovers! 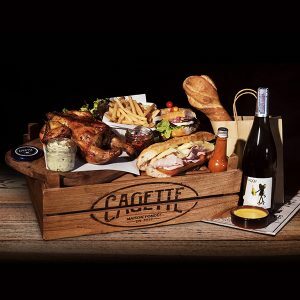 Change from a standard movie night to a special one with this Cagette Solution made for you! 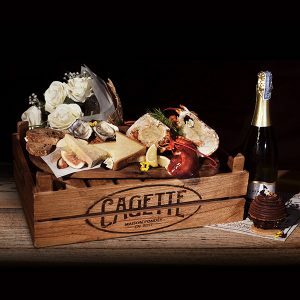 Help yourself and your beloved one with our Cagette Romantic Solution perfect for spending a wonderful time! 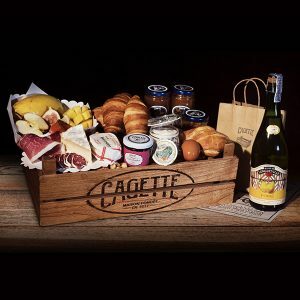 The Cagette Solution to enjoy our qualitative meals on the go or at the office! Lunch inspired by trends and season products to satisfy your palates! Set lunch of the day! 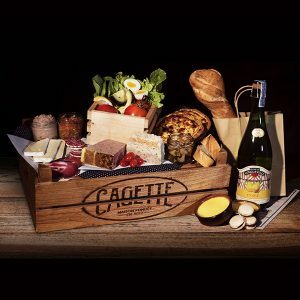 Our Cagette Brunch Solution redefines your weekends with our French interpretation of the famous Brunch! Amazing balance of sweet and salty. 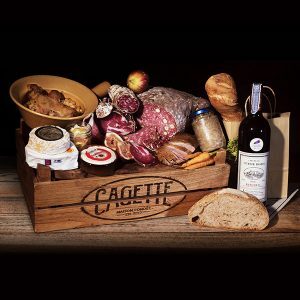 For Beef lovers, find in this Cagette the perfect assemblage of meat with our prime rib wagyu as the star.